You don’t need to be a royal to know how to show kindness to others, so join us at Xenia Community Library during the month of February. Kindness is free to give, and so are all of the many programs that we have to offer. Check out our lineup of programs and plan your trips accordingly to our library to see what you can do to make a difference in someone’s else life. February 1–28, for preschoolers, kids, and teens. February 14, for ages 10–18. February 1–28, for all ages. 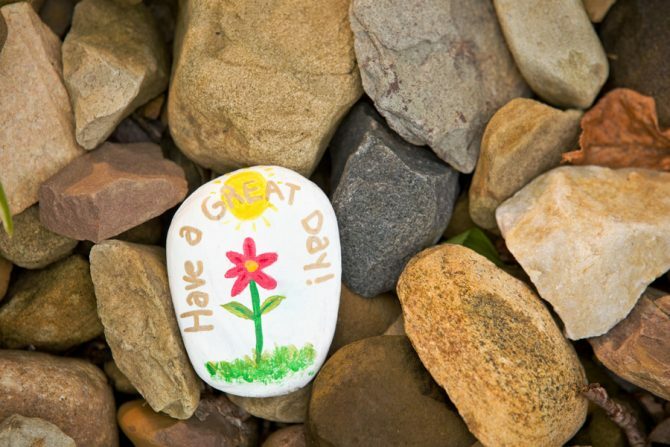 All month long, help beautify Xenia by painting a stone to place somewhere around town. What will your stone look like? Where will you place it? It’s completely up to you! We will provide stones and paint markers. Find supplies by the Xenia Community Library information desk. February 1–28, for all ages. All month long, come in and help make no-sew blankets to donate to the cats and dogs at SICSA Pet Adoption Center. Come to the Xenia Community Library information desk for supplies and help make blankets for some very cute furry faces.